An advertisement was placed in a Jamaican newspaper offering cheap transport on the ship for anybody who wanted to come and work in the UK and many former servicemen took this opportunity to return to Britain with the hopes of rejoining the RAF: others decided to make the journey just to see what England was like. The resulting group of 492 immigrants famously began a wave of migration from the Caribbean to the UK, and as a result the name Windrush has come to be used as shorthand for that migration, and by extension for the beginning of modern British multicultural society. The ship docked at Tilbury on June 28th 1948 and 200 of the arrivals were temporarily housed in the Clapham South deep shelter ( a former air raid shelter ) in south-west London, less than a mile away from the Coldharbour Lane Employment Exchange in Brixton, where some of the arrivals sought work. Industries such as British Rail, the National Health Service and public transport eventually recruited extensively from Jamaica and Barbados. However many new arrivals were to endure prejudice, intolerance and extreme racism from sectors of White British society. Clashes continued and worsened into the 1950s, and riots erupted in cities including London, Birmingham and Nottingham. In 1958, attacks in the London area of Notting Hill by white youths marred relations with West Indian residents, leading to the creation of the annual Notting Hill Carnival, which was initiated in 1959 as a positive response by the Caribbean community. The development of Carnival in Bristol followed a similar path of social disruption . Bristol based Caribbean people were unhappy with how they were perceived and treated locally and so set about creating an event for the community to gather and enjoy themselves and also for other people to learn more about their culture. The St Pauls Festival was born in 1968 close in time to the formation of other festivals and Carnivals around the Country. 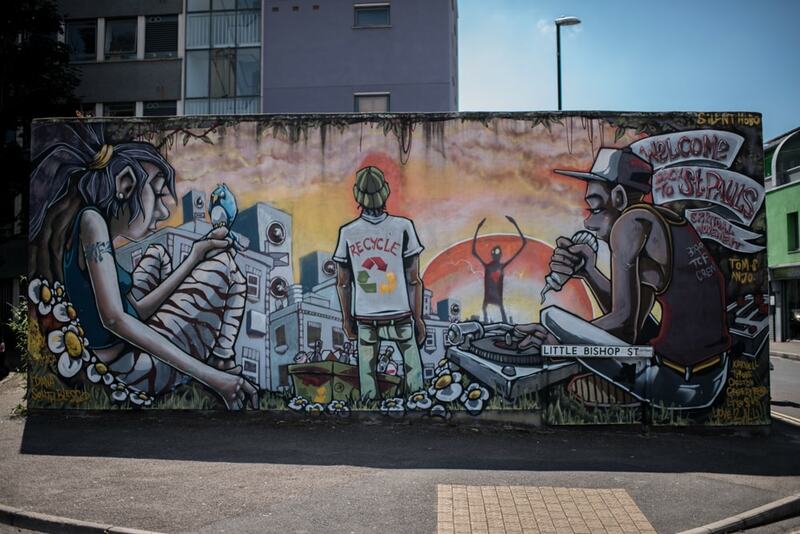 The Carnival’s 7 founder members were recently honoured and remembered by a recent Community art project by artist Michele Curtis, a student of the City of Bristol College. 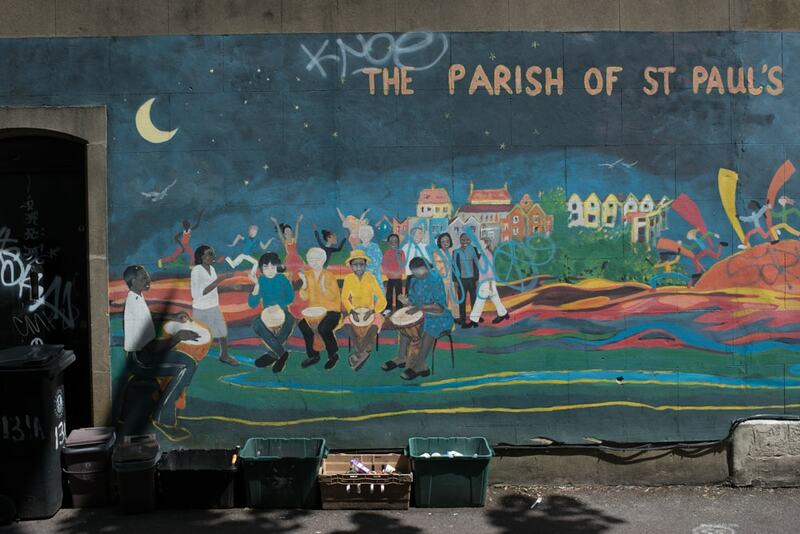 Michele launched the Seven Saints of St Pauls Heritage Mural Initiative – a project to celebrate the seven figureheads of Bristol’s St Pauls community in large-scale mural form. Initially Seven walls have been identified for the murals in the St Pauls area and Michele is being supported by Felix Braun of the Paintsmiths of Bristol art group with the project. Michele has further described the project as Iconic Black Bristolians ( link to Facebook site ). An interview with Roy Hackett about these early days is here. There is information available online regarding Own Henry, Carmen Beckford and Roy Hackett but there seems little available about the others. What is evident is that all of these people were involved in both the support of fellow afro-caribbean migrants but also fostered extremely positive links with the local Council groups and police staff. On the 1st July I only found one of the murals ( that of Owen Henry ) whilst walking around St Pauls and am waiting for a reply from Michele as to the whereabouts of the other murals. 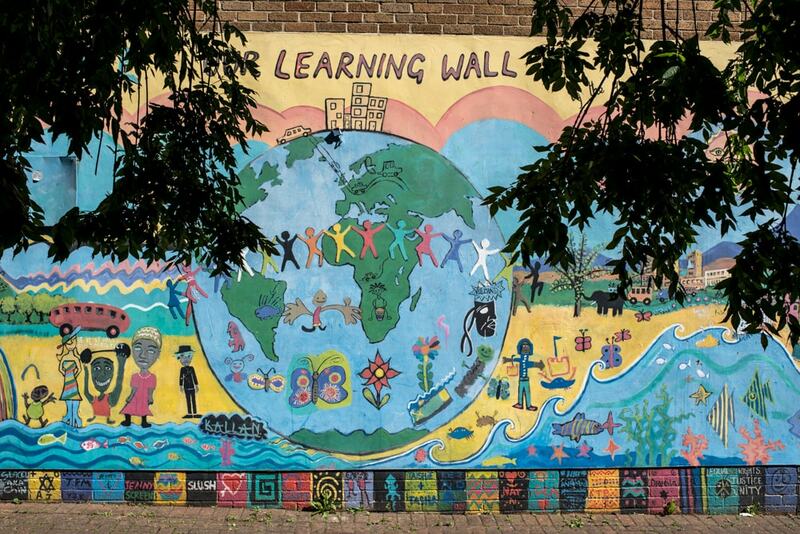 The current photographs here are of other murals which provide an insight into the values of the local community. Once I trace and photograph the murals I will add the images to this blog post.